This paper is a description in sociological terms of a large primitive Christian sect. While a merely descriptive paper may seem a modest undertaking for a Master's degree, I feel that it is justified on several grounds. Since Durkheim, the study of religious beliefs and practices has been recognized as of fundamental importance to sociology. Hopefully, we are approaching a synthesis of theory in the sociology of religion which will give us a solid body of knowledge about the structure and dynamics of the ultimate value systems of societies. Any such synthesis must account in some way for all the religious institutions of a given society, and more descriptive work seems to be called for at several points. 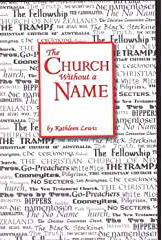 The major established churches of the United States present no particular problem so far as the availability of descriptive material is concerned; hundreds of books have been written on many of them. A good deal of attention has been given to larger atypical groups such as the Amish, Mormons, Seventh Day Adventists, and Jehovah's Witnesses. Numerically small sects, the Plymouth Brethren, House of David, Black Muslims, and many "store front" groups have been studied, some of them quite intensively. The sect dealt with in this paper has been overlooked. The lack of attention given it in literature, whether theological, journalistic, sociological, or popular, will be commented upon later. This particular sect seems highly worthy of study for these reasons. First, it appears to be the most truly primitive Christian church of any size in existence. "Primitive" is taken, of course, to mean maintaining the beliefs and ascetic practices of the earliest Christians of the time of Christ and the years immediately following, when the New Testament was presumably written. Many other churches and sects claim to carry on the original ways and teachings of Christ, and the extent to which they succeed is hardly subject to objective measurement. My reasons for the statement above will be developed in the course of the paper. Second, the group treated here is of very substantial sice compared with others of a strong primitive orientation, and has more members than many well-known religious bodies. While it is impossible to arrive at more than a rough estimate of its membership, certain evidence will be adduced to indicate that it has between 300,000 and 500,000 adherents in the United States alone, and several times as many throughout the world. which can maintain, in the United States of today, important aspects of the earliest Christian gathering, and can attract large numbers of converts from the modern churches to a system of values that ostensibly arose some two millennia ago in the Middle East. The "discovery" of a new sect, like the discovery of a new species in biology, provides to some extent an opportunity for testing the soundness of certain theories, in this case, formulations about the sequence, conditions and inevitability of sect-to-church development. This problem is taken up in Chapter IV. The amazing "invisibility" of this large sect is also of theoretical interest. The methods used in dealing with the subject are, out of necessity, very simple and informal, and depend largely upon personal observation over a long period of time. In justification it can only be said that more formal procedures do not appear feasible, and the methods used seem adequate for the job at hand. My reason for selecting this sect for a thesis topic, in addition to the points above, is that I have considerable first-hand information about it through family membership, going back about fifty years. This gives me an entree to the group and access to material which would be difficult for another to obtain. Also, through my family and my own early participation in sect meetings, I have a certain "feel" for the emotional and subjective qualities of the religion which may be helpful in developing a full description of the sect. My paternal grandparents, with whom my parents and I remained very closely associated, joined in 1912, and my mother and maternal grandmother in 1925. My grandparents were active participants until their deaths in the early 1950's, and my mother is presently a member. The group met at the home of my grandparents, and I have a vivid recollection of the meetings, to which I was taken up to the age of 10 or 12. From family sources I have obtained a sizeable collection of documents and photographs, and information drawn from these sources will be used. These letters and papers span a period from 1913 to the present. I have discussed the group at great length with my parents and with other members, and have recently attended several meetings to refresh my memory of the services. For reasons which may become more apparent later, I have not conducted formal interviews or collected questionnaires. The group, while not a "secret" sect, has a strong feeling that religion is a personal and private matter, and would be disturbed at being made an object of study. The sect abhors publicity of any kind. At any rate, it is my conviction that such data as might be gathered by these techniques would add little of value to the information I already have. personal references. Its observation would have been both awkward and misleading. Chapters I and II are purely descriptive, covering the activities, membership and body of beliefs of the sect. Chapters III and IV, respectively, attempt to relate the sect to certain religious traditions and to bring various relevant theories and hypotheses in the sociology of religion to bear upon it. The focus in Chapter IV is upon the body of theory concerning the development of sects into denominations or churches, and the " Invisible Church" is taken, in simple terms, as an exception which may well test the rule. The single most striking feature of the group we are going to examine is its virtual social invisibility. Throughout the United States, including the Eugene area, it has been quite active for at least fifty years, yet most people, including reporters, public officials and others who take a special professional interest in community group activities, are unaware of its existence. While it is in no sense a secret organization, it shuns publicity in any form, and seems quite successful in remaining, as it wishes, "apart from the world." For several reasons which will be developed later, it appears to have attained a higher degree of success than most sects in reaching a stable relationship both internally and with the larger society. Many religious sects have sought to revive or perpetuate their own versions of primitive Christianity. With seeming inevitability they either died out, isolated themselves physically, or developed into full-blown denominations with all their social and cultural appurtenances. Within a generation or two, most of the sects which survived would have been virtually unrecognizable to their founders. For reasons which will become apparent later, it is quite impossible for anyone to get a large scale or overall view of this organization. Persons who have been active and devoted members for many years know The Church1 only through the meetings they attend and the few functionaries whom they know personally and with whom they correspond. In the description of an unusual phenomenon it is always difficult to know where to start, since many of its aspects are meaningful only in relation to one another or to the whole. As a background to this chapter, we may anticipate some questions which are bound to arise by briefly summarizing some of the distinguishing characteristics of the sect which will be discussed in detail later. 1. It has no name. 2. It has no property, publications, headquarters or officers. 3. It is non-creedal and New Testament based. 4. It is non-charismatic and emotionally restrained. 5. It is non-legalistic with no rigid abstentions or prescriptions. 1While the organization is a sect in the sociological sense, it is called "The Church" by the members, and for convenience this term will sometimes be used in the descriptive chapters of this paper. 7. Its functionaries are itinerant unmarried "workers." 8. It is distributed throughout the world. 9. It maintains no rolls, records, census, history or accounts. The sect functionaries, equivalent to ministers, preachers or clerics, travel from place to place, usually in pairs. They stay with members in their homes and hold meetings in the area. They have two primary purposes, to bring in new members and to strengthen the local groups by encouragement and counselling. The regular Sunday meetings are usually not attended by "workers," as these functionaries are called, but are conducted by an ordinary member. there it a practical limit on the number of persons who can participate and on the facilities available in the homes of members. These sessions are called "worship meetings" or "fellowship meetings," and each is held in the home of one of the older members of the group, either in years or in terms of membership, who typically "leads the meeting." 1Hymns New and Old. R. L. Allan and Son, Glasgow, Scotland. This hymnal has been used for many years. A few traditional Protestant hymns are used, but most of the songs are unique to The Church. They are slow and rather lugubrious. meeting is closed about noon with a hymn, and a period of cheerful socializing follows. The group singing, which is slow and melodic, is very important in setting the emotional tone of the meeting and in bringing the members toward the unity they desire. Despite the extreme restraint of the meetings, and the repetitive and stylized forms of the participation, the general impression is one of strong emotion. Quiet weeping on the part of the women, and sometimes of the men, is common. I am inclined to credit the information I have received that the meetings have not altered in any particular in the past fifty years or so. A second type of service is the "union meeting." This is a joint meeting of two or more worship service groups which get together in the home of one of the members in lieu of meeting separately. This may be done on one fixed Sunday each month, or at somewhat longer Intervals. These meetings may or may not be attended by a worker or a pair of workers. They are conducted in the same manner as the regular worship services, except that a worker, if present, leads the meeting. public places such as schools, Grange or fraternal halls, public auditoriums, churches, etc. The talks by the workers are designed to introduce newcomers to the special beliefs and practices of The Church, and prospective converts are invited to attend the worship services in their home areas. grounds and buildings at both Saginaw and Boring are on the land of prosperous farmers who are members, and were built by volunteer labor. The facilities are very simple, and no attempt is made to beautify or elaborate upon them beyond the requirements of physical necessity. Conventions are conducted in a manner similar to the worship meetings, although on a much larger scale. They are not advertised, and there are no signs or other indications to the public that a meeting is being held. The impression created upon the outsider is one of restraint and simplicity carried to the point of dullness. In addition to the above meetings, the workers also have periodic meetings at which practical affairs are discussed. These sessions are usually held in conjunction with conventions and are limited to workers. I have no information as to how they are conducted, how a chairman or leader is selected, or the method by which decisions are reached. If there is any dissension or "politicking" among the workers, it is certainly not revealed to the members. The degree of amicability and absence of differences among both the workers and members is notable. decisions, but this is never discussed. There is, of course, no written charter, membership roll, list of meeting places, or financial report. On the important matters of the size and world distribution of The Church, only the crudest estimates can be offered. This is not due to a policy of secrecy, but rather results from the loose nature of the organization and the complete absence of any membership rolls or records. There is simply no interest in such matters among the members. The only way to arrive at any estimate whatever is to extrapolate very freely from the known local situation. There are three conventions in Oregon annually, two at Boring near Portland and one at Saginaw south of Eugene. Each is attended by 1,500 to 2,500 members (no count is made), and because most of the members are working people it is reasonable to assume that there is not a great deal of overlapping attendance. There are worship service groups in at least half of the towns and hamlets in the state, and dozens in Portland. The Eugene-Springfield area, with its seven meetings, must have at least 100 members. On this basis, and particularly in view of the attendance at the conventions, I would hazard a guess that there are about 5,000 members in the State of Oregon. about equal activity in every state in the nation and in Canada. While there may be some areas in which there are few members, there is no reason to suppose that the center of their strength is in the Pacific Northwest. If we assume, in a purely speculative fashion, that Oregon has 5,000 members and that the proportion of umbers in the population is the same for the rest of the United States, we can estimate a national membership of 450,000. Mann1 says that there were 1,200 to 1,800 members in the province of Alberta in 1946 in a population of about 850,000, but from my impression of activities in Western Canada, it would appear that his estimate is quite low, unless there has been continuing rapid growth. Four conventions will be held in British Columbia in 1963. 1Mann, William E., Sect.Cult and Church In Alberta. University of Toronto Press, 1955. 2Mead, Frank S., Handbook of Denominations in the United States, Pierce and Smith, New York, 1951. Of the 234 churches and sects described by Mead, only 20 have a membership exceeding 450,000 in the United States. The group is international, and there is evidence (far from conclusive) that it originated in Europe, probably in Great Britain. Among the documents mentioned earlier are letters from workers mailed at first or second hand to my grandparents from Ireland, Australia, New Zealand, The Philippines, Alaska, Sweden, China, Latvia, South Africa and Ceylon. Other documents speak of activities in Italy, Greece, Russia, India, Japan and Tahiti. In many of these countries the membership is very substantial, and I have heard reports that it is, if not the largest religious body in Australia and New Zealand, at least in second place. Japan, China and India have many members, although the number is beyond reasonable speculation. The sect continues its meetings in Russia and China, apparently without serious difficulties, as it did in Germany and Japan throughout World War II. While workers from the United States, Canada, Great Britain, New Zealand and Australia sometimes go to Asiatic and African countries, most of the sect activities there are apparently carried on by native-born persons. The term "missionary" is never used in the group since it is not felt to have any "center." If our estimate of membership in this country is anywhere near accurate, the total number of members worldwide is probably between 1,000,000 and 2,000,000. Considering its size, the small attention the group has received is surprising. Even if its membership in the United States is only half of the estimate above, it is still among the largest of all the sects. The Church is almost entirely overlooked in the literature. It is not included,in the U.S. Census of Religious Bodies, and is omitted from such studies as those of Mead and Ferm. Clark, Elmer P., The Small Sects in America. Abingdon-Cokesbury Press, New York, 1949, p. 184. An interesting description of the sect, which in the absence of other material seems worth quoting in full despite its length, is found in a rather curious book edited by one William C. Irvine2 . Among the "heresies" he exposes are Christian Science, evolution, and "modernism." This is the only portion of the book whose author is not identified by name, and an interesting question arises as to Irvine's possible connection with the group, or even his possible identity with the William Irvine who is mentioned as a suppositious founder of the sect. Heresies Exposed seems to have been written and compiled from a non-denominational ultra-conservative Protestant viewpoint. 1Mann, op. cit.. pp. 15-16. 2Irvine, W. C., Ed., Heresies Exposed. Loizeaux Bros Inc., Bible Truth Depot, New York, 1935 (3rd Ed.). It is described as "a brief critical examination in the light of the Holy Scriptures of some of the prevailing heresies and false teachings of today." The Cooneyites or Go-Preachers and Their Doctrines.by W. M. R.
Origin: The originator of this new cult was a Mr. William Weir Irvine1, a Scotchman, who went to Ireland about fifty years ago as a preacher in connection with the Faith Mission. He subsequently left them and started an independent Mission on his own lines at a town called Nenagh, Co. Tipperary, where he found a few hearty people who had been but recently converted. These he succeeded in gathering around himself and they became the nucleus of this new sect. He commenced by holding missions in schoolhouses and Methodist churches, which had in good faith been placed at his disposal; and in course of time, a number of young men and women professed conversion to his views and followed him from place to place. The condition of church life in the south of Ireland at that time was such that there were young Christians who were languishing for lack of spiritual food, and were grieving over the want of ardor in the gospel among them, Such were attracted to these preachings, and mistook the vigorous denunciations and excitable preaching of the missioner for spiritual power and holy zeal. Ultimately, many of them were induced to unite with him. Irvine then commenced a virulent attack on Methodists and Methodism, and publicly anathematized all churches and their ministers. This led to the withdrawal of all permission to use any of their property for his meetings. 1(As footnoted in The Cooneyites or Go-Preachers and Their Doctrines, by W. M. R.. quoted ibid. :) Mr. John Long has written us that he was the man who obtained for William Irvine "the first opening for a mission in Nenagh, August, 1897"; that "William Irvine is the name of the original leader of the Go-Preachers. Irvine Weir was one of the first staff of preachers who emigrated to America; these two names seem to have got mixed up." He declares that the movement dates from 1897.
purse, or scrip, and literally tramp from place to place, claiming to obey the word of Christ to His disciples in Matthew 10:7: "As ye go, preach"; hence the name "Go-Preachers." Cooney was possessed of a strong personality, combined with a fiery zeal, which suited well this militant sect. Fresh attacks of greater vehemence were now launched against all sects and denominations, and their converts warned against them and forbidden to have any connection with them. Further developments shortly took place. If any of them had money they were exhorted to give it up, and literally carry out the teachings of the Lord Jesus in Luke 9:1-5 and Matthew 10:5-42, and this they called "The Jesus Way." Any form of outward respectability in dress was pronounced worldly, and contrary to "The Jesus Way," for He lived and worked as a poor Man. Only those who follow "The Jesus Way" are regarded by them as Christians, and every profession of conversion through other instrumentality than their own is regarded as Satanic, and their work that of "False Prophets" and "Hirelings." Conversion to "The Jesus Way" or "The Lowly Way," as it is variously called, is, according to them, indispensable for salvation, and this can only be evidenced by their following it; and any divergence of thought from this teaching is denounced as "earthly, sensual, and devilish." Methods and Practices: They usually move about in couples, composed of young men or young women. They seem to be very shy of large cities and towns, preferring the country districts, where they seem to gain easier access to souls, and find less opposition to the propagation of their pretentious dogmas and doctrines, which damage spiritually all who lend an ear to them. Their first practice is to visit some place and seek out those that are "worthy," as they deem it; which, in reality means those who are prepared to listen to them and to receive them. They state they have come to preach the gospel in the real " Jesus Way," and that they belong to no sect. If they are refused, they will browbeat, insult, and endeavor to frighten the timid, and end by literally "shaking off the dust of their shoes against them." If they are received, they very soon bewilder their hosts with their perverted and plausible application of Scripture, and, alas, sometimes eventually gain their adherence, unless they are well grounded in the gospel, and possessed of a well-balanced mind. For the sake of securing one proselyte they have been known to preach every night for two or three months. Their method of making converts is as follows: At the close of their preaching, an appeal is made to any who realize that they are not right, that they should turn to the Lord in true repentance, and signify the same by raising their hand/ Those who do so are accounted as born again, or as having turned from "the wrong way" to the "Jesus Way," or "The Testimony of Jesus," as it is variously styled. Their converts must be baptized by immersion, and renounce their former religious connections, and, when as is sometimes the case, parents are opposed to their teaching and methods, their children have been known to forsake parents and home and all filial obligation, under the baneful influence of these preachers. Their aim is to establish churches in every place where they are received. These are presided over by "bishops," men who have strictly conformed to their tenets. They maintain that the only way to worship God is that the meeting must be held in the house of some "saint," for every other kind of religious meeting is "the false way." They meet together privately every Sunday (generally in the house of a "bishop") and "break bread," as was the custom of the early Church. They hold prayer-meetings during the week, and in all these gatherings both men and women take part. They urge a strict attendance at all these meetings, and nothing but extreme sickness must be allowed to keep them away. Attitude Towards Others: They boldly state that there are no true servants of Christ in any of the churches, and that there are no true Christians except those who are converted in their meetings* They claim that they only are the true servants of Christ, inasmuch as they only have complied with the Lord's command to sell all they have and preach the gospel without money and without price. "The Jesus Way": We may now enquire what is this preaching of "The True Jesus Way," of which the Cooneyites claim to hold the monopoly, and without which (and a Cooneyite to preach it) no one can be saved. When they are asked, all they seem able to tell us is that "The True Jesus Way" is laid down in Matthew 10 and Luke 9 and 10. From these Scriptures, they constantly quote, laying particular emphasis on "Go preach," and provide "neither gold nor silver, nor brass in your purses, nor scrip for your Journey" (df. Luke 22:35,36). Their Doctrines: It is very difficult for anyone not initiated into their sect to get an official outline of their doctrines, for they purposely refrain from printing books or tracts for public circulation. There is an undoubted object in this practice. We hare been given to understand that latterly something has been printed which only those amongst themselves are allowed to see. They are likewise careful to ban all other books and tracts, for they declare that no one can benefit from the reading of such literature. They can go so far as to declare that the Bible is a "dead book" unless it is "made to live" through the mouth of one of their preachers. This again savors of the pretensions of Rome. Here we have the very surest test, even if it be the very oldest. To be wrong here is to be wrong everywhere. Their Christology: The Go-Preachers profess to believe in the Deity of Christ, but utterances, such as "Jesus overcame His own flesh," clearly show that they believe that the Lord Jesus Christ had sinful flesh in Him that needed to be overcome: How incompatible this is with Luke 1:35: "That Holy Thing that shall be born of thee shall be called the Son of God," and "In Him is no sin" (1 John 3:5): No one that believed Him to be God the Son could speak of His "having to overcome the flesh in Him." On Atonement: "The Jesus Way" of the Cooneyites, accordingly, has no room for the precious atoning blood of Christ as the ground of salvation. One of them remarked the other day to a friend of the writer, who was pressing the necessity of the precious blood of Christ as the ground of salvation: "How can the blood of a dead man save anyone?" Underlying the statement is an assault upon both the Deity and the atoning work of Christ. A correspondent writes: "Of all the time I was with them, I only once recollect one of their preachers mentioning the blood." They assert the work of Christ is not finished, and that in the face of John 17:4, when He said, "I have finished the work which Thou gavest Me to do," and also of that memorable peace-giving and victorious cry of the dying Saviour on the cross—"It is finished* (John 19:30). In support of this strange contention they quote, and again wholly misapply, Acts 1:1: "Of all that Jesus bepan both to do and teach." The Cooneyites thus claim to be carrying on the work of Christ which He only began but did not finish! They have even gone the length of blasphemously pronouncing one of their preachers to be "Jesus Christ come in flesh!" They ignore also the sovereign work of the Holy Spirit in the souls of men. While they admit the term "new birth," and prefer the term "regeneration" to "conversion," yet with them it is simply "turning from the wrong way" to "the Jesus Way." They claim there cannot be new birth without human agency, and that, in their opinion, means a Cooneyite preacher! Review and Warning: From the foregoing and well-attested evidence, it is clearly to be seen that Cooneyism neither offers a Saviour nor salvation, but rather goes far to show that neither is needed. We have no other object in writing the foregoing than to warn the unwary, and seek to help some to "recover themselves out of the snare of the devil, who are taken captive by him at his will. (2 Tim. 2:26). 1914 stayed for some time with my grandparents. It may be that the name "Cooneyites" was a local usage which found its way into print and has been perpetuated. My mother says that the name "Carrollites" was current in Oregon for a while because of the activities of a worker named Jack Carroll. There have probably been dozens or even hundreds of these local appellations, of which "Cooneyites" was only one. If the sect is virtually invisible to students and historians of religion, it is equally so in local communities. Meetings and conventions are ignored by the local newspapers, although they may be the largest gatherings that assemble in the town. The group shuns publicity of any kind, and apparently this, together with the quiet tenor of its meetings and its lack of any name, makes it more than the press can cope with. One instance which comes to mind occurred a few years ago in Douglas County. A local correspondent for the Roseburg News-Review began to send in items about the monthly "union meetings" in which she described the simple lunches which followed the services as "potluck dinners," and sometimes referred to The Church as "The Disciples of Christ," an entirely different organization. She complied with a request by members who knew her to desist from contributing items about their meetings. range of social statuses than might be expected. While it is generally composed of skilled craftsmen, small businessmen, farmers, salesmen and minor government officials, I know of at least two professionals, a physician and an attorney, who attend meetings in Eugene. There is a tendency in the United States for sects to be bound closely to the lower class—indeed, they are almost a lower class phenomenon. This is not true of The Church. The members known to the author are in general moderately prosperous, and the homes in which meetings are held are large and well-furnished. Notice was taken of the automobiles parked on the grounds at the Saginaw convention—a sizeable proportion were late models of expensive makes. marriage, since marriage should involve a home and family, and these would be incompatible with the life of an apostle. It is not uncommon for workers to marry, and this is not considered regrettable by the sect, but upon marriage they "leave the work" and become ordinary members. The prohibition against marriage is not absolute; I know of one elderly childless married couple who are both workers and who travel together, but this is a rarity. The workers, without exception in my experience, appear to be at least moderately and in some cases extremely well-educated. They dress well, though quietly, and are pleasant and sociable. Their avoidance of worldly involvements does not lead to an obvious, obsessive or oppressive asceticism. Great stress is laid upon the special lives of the workers, who are presumed to emulate Christ and the apostles in forsaking worldly possessions and amusements, money and prestige, and devoting their lives to travelling and preaching in poverty. word is spread by personal contacts or by letters. Convention schedules are sometimes printed, probably by members in the printing business. Another type of document, the "convention notes," is quite important. These are transcripts of the sermons given at conventions, and, in carbon copies, they are widely circulated. My grandparents' papers contained many sets of such notes from conventions in a dozen states and several foreign countries, including Japan and Germany. This extensive correspondence is seen by the group as a continuation of the practices of the early church and the epistolary work of the original apostles, and it is certainly functional in maintaining the identification of the members with The Church. Historical descent Communication through prayer and the "spirit"
structure of the group by saying that "Christ is the head and we are the body." The decision-making system among the workers is largely informal, but virtually nothing is known about it. The organization of The Church is such that the number of necessary decisions is minimized, there being no jobs, finances, budget, buildings or publications, and no relations between the group qua group and other churches, government agencies, or other groups. If the workers select district leaders from among their members, this is not revealed to the membership. The method by which new workers are selected from members desirous of "taking up the work" is not known to the author, although it is apparent that there is a high degree of selectivity and persons who are considered unsuitable are firmly discouraged. There seems to be no formal rite of ordination, although it is possible that some simple ceremony ia performed privately by a group of workers. of theatricality or anything resembling oratorical fireworks. Success in attracting converts is of fundamental importance. The finances of the group are, and must largely remain, a mystery. Financial requirements are minimized, and consist of money for travel, medical care and personal expenses of the workers and the construction and maintenance of convention grounds. While the workers do not literally "carry no purse or scrip," they avoid money transactions and discussions. Members give money contributions to the workers in private, but I have been assured that a person could be baptized and attend meetings for years without contributing a cent or hearing money mentioned. In examining hundreds of letters, I found only one reference to money. This is a note, added apparently as an afterthought to a letter written to my grandparents by a worker in Eastern Oregon: "P.S. Rec'd. cheque O.K. Many thanks for same. L. K." My mother says that such acknowledgements are sometimes enclosed on separate slips of paper in letters devoted to religious matters. Some of the members confidentially express an opinion that The Church has large financial resources, presumably trust funds in Britain and elsewhere. In the absence of any central organization to transact business, such funds, if they exist, would probably be held in the names of individual workers to be used for church purposes. It is perhaps only fair to add that my paternal uncle, who grew up in close contact with The Church, believes that the workers are skillful in extracting money from members, and that his parents gave them, in the aggregate, a very large sum. In its body of beliefs The Church is not much removed from the main stream of Protestant theology, although it emphasizes somewhat different things. It uses the New Testament as its exclusive guide, holding the Old Testament to be a "closed covenant" which God gave to the Jews and which was fulfilled when Christ came. The Old Testament is read and studied for its wisdom and is sometimes discussed in meetings, but it is understood to have been entirely superseded by the New Testament. "And it says in Matthew 27:5) 'And Judas vent out and hanged himself.' And Christ himself says in Luke 10:37: 'Go thou and do likewise.'" They hold that the healing and the casting out of spirits conducted so widely by Christ and the apostles in the New Testament was intended to refer to the spiritual cure of spiritual ills rather than to physical healing. They believe that the most important parts of the Bible are, first, the passages in which Christ directs his apostles, and second, the passages and books in which the apostles direct and instruct the members. Since the present church is historically continuous with the original, these directions are in full force today, and the other churches violate them freely. Incidentally, like some other Christian groups, The Church does not consider itself to be "Protestant," which would imply that it originated by breaking away from the Catholic church. They maintain that the Catholic church very early broke away from them, and became popular by adding much pagan belief and ritual to the original faith. This legend of a continuous history legitimates their special characteristics. and sustaining them in the faith. They cite Christ's instructions to his disciples in explaining their practices of selling all they own and traveling in couples, virtually without possessions. It is very important that they avoid "worldly" preoccupations, but this does not mean that they must avoid contact with the things of the world, and they affect no archaisms of dress, speech or manner. The workers have two great responsibilities, to bring new members into The Church and to sustain and assist the faith of old members. Ordinary members have only the responsibility to lead good lives. They may Invite friends or family members to attend meetings, but they do not proselytize. Relations between the workers and the members with whom they are acquainted are easy and informal. Workers are called by their first names, and nicknames are sometimes used. While they are respected, social distance and restraint are very slight, and in a great many cases the relationship is almost familial. While the workers are teachers and exemplars, Christ is the only mediator between God and man. This is Christ's purpose and role, and all worship and prayer are directed to God through Christ. comparison of the group at the present time with the original church as described in the New Testament is sufficient demonstration of the truth of this contention. The New Testament "primitive" orientation would appear to lead naturally toward a strongly ascetic and legalistic ordering of behavior, as indeed it has in the cases of many fundamentalist sects. This group has minimized the legalistic element by stressing the spiritual meaning of acts rather than the specific content of the acts themselves. Thus they avoid the dilemma of many fundamentalist sects which seek to enforce rigid and extensive behavioral norms among the members, and still wish to maintain a minimum of formal organisation and status differentiation. Except by means of physical withdrawal from the larger society, these two desires appear to be incompatible. never become absorbed in them. The attitude of The Church toward such things as drinking, smoking, dancing, dress, conspicuous economic consumption, and the numerous issues on which certain other ascetic sects have drawn battle lines with the larger society is highly intellectualized. They frequently quote New Testament precepts like the following! a) Should one watch television? b) Should one seek exemption from the military draft? c) Should one Join a fraternal organisation? d) Should one take a purely pleasure trip? and such like are personal matters on which other members of The Church should not presume to sit in judgment. Indulgence in alcohol it deplored by The Church. Nevertheless, in his later years my grandfather felt that a little beer improved his appetite, so he sometimes drank one bottle, never more. He did this without any sense of "sin" but he would not have drunk in public because it might have been used against The Church by members of total abstinence groups. In their old age my grandparents were given a radio, a thing which they had never owned. They enjoyed music, and listened to it every evening. After some months they developed considerable interest in certain programs and listened to them regularly. They must have discussed this between themselves, and perhaps with a worker, because they suddenly gave up the radio. It was left in the livingroom and others were free to use it, but they never turned it on. A long-time member of The Church in Roseburg ran for election to the school board. This was thought to be too "worldly" and was discussed unfavorably within the group, but he was elected and served for several terms while remaining a church member in good standing. allegorical, having spiritual rather than factual meaning. The only ceremonials practiced are baptism and communion—the "breaking of bread." Marriage is considered to be a civil matter, although divorce is prohibited to a member. The workers usually conduct the funeral services of members, but this is not considered to be a sacrament. In general, the religious norms of the group are highly intellectualized, and there are no concrete symbols except the eucharist. They feel that the free use of symbols by the "worldly" churches is evidence of error, and I remember my grandfather surmising that if the Romans had chosen to hang Christ, all of our Christian churches would have gallows on top. Sunday is the day specified by the gospel for meetings, but no other religious holidays are observed. Christmas is a pagan holiday, and while the members, especially those with children, observe it in the conventional way, it has no religious significance whatever. The same is true of Easter, and they point out with some amusement that the pagan Christmas tree and Easter eggs are now felt by many to have quasi-religious meaning. 1Durkhelm, Emile, Elementary Forms of the Religious Life, Collier Books, New York, p. 52. All known religious beliefs, whether simple or complex, present one common characteristic: they presuppose a classification of all the things, real and ideal, of which men think, into two classes or opposed groups, generally designated by two distinct terms which are translated well enough by the words profane and sacred.... This division of the world into two domains, the one containing all that is sacred, the other all that is profane, is the distinctive trait of religious thought; the beliefs, myths, dogmas and legends are either representations or systems of representations which express the nature of sacred things, the virtues and powers which are attributed to them, or their relations with each other and with profane things. Actually, it appears that The Church recognizes no sacred objects. All the things of the world are profane, the only sacred thing which manifests itself to man is the spirit of God working within him. The cross is not sacred, the bread and wine which are taken in remembrance of Christ are not in themselves sacred, although the rite has sanction from a sacred source, and the Bible as a physical object has no aura of sanctity. It is consistent with this outlook that the two spheres are kept apart. God is never asked to intercede in worldly matters—there are no prayers of supplication, no requests for any save spiritual help. cross, the Bible, the altar, and perhaps the church building itself all have a sacred quality. They frequently pray to God for either personal help in matters of health or finances, or for assistance in political, military or social affairs. Of course, individual converts to Cooneylsm might carry over such emotional attitudes toward certain objects, but these would be contrary to the teaching of The Church and would be discouraged if they became evident. To ask God to concern Himself with mundane matters is to reveal a fundamental ignorance of the "true way." Since all worldly things are profane, the world is a constant threat. To become absorbed in worldly things, no matter how innocent or meritorious they may appear to those outside, is as fatal to salvation as a life of crime and vice. It is inconceivable that a successful politician or movie star, for example, could belong to the group, since it would be impossible for him to reconcile the worldly demands of his occupation with the doctrine of The Church. waves of religious persecution which have swept Europe, including the Spanish Inquisition, were directed largely at it. They especially fear the Roman Catholic Church, which opposes them strongly in Spain and Latin America, and are deeply concerned with the possible success of the current ecumenical movement, feeling that a union of the great churches would inevitably lead to new persecution. These fears are not emphasized or preached upon, but they are nevertheless very real, and may in part account for the reluctance to maintain records and for the aversion to publicity. Having existed "underground," so to speak, for almost two thousand years, as they believe, they are wary of exposing themselves unduly even in a setting which appears perfectly safe. Their fears, of course, are tempered by a great underlying confidence arising from their faith. In the Oregon town where my parents lived in 1946 and 1947, one of the members of the local meeting was an Italian immigrant who had been in the United States for many years. He had been very disturbed by World War II, and insisted on reading aloud long passages from the letters of friends and relatives in Italy in the meetings, disrupting the stylized routine which is always followed. It was also believed that he often came to meetings under the influence of alcohol. Workers were informed of the problem and talked with him several times, but there were communication problems which might indicate that he was tending toward a psychotic condition. Soon he ceased to attend, whether of his own volition or because he was in effect expelled is uncertain. There seem to be very few such cases, and deviant members may be dropped without great regrets,since true membership consists in understanding and following "the way," and protracted deviance is sufficient evidence that the member has already ceased to be a true member. Controls are supposed to be internalized. Members may sometimes seek the advice of workers about spiritual problems, but it appears that workers almost never criticize members, even in private, or volunteer counselling without being asked. 1. Don't forsake the assembling of yourselves together on the first day of the week. Your presence, rain or shine, is a testimony to your neighbours as well as to your brethren. It is one way of confessing Jesus as your Lord and Master. The meeting is chilled by your absence. 2. Don't come too early and talk on unprofitable subjects and so unfit yourself for helping in meeting. 3. Don't come too late. This always hinders. 4. Don't have too long a meeting. Good meetings are often held within an hour. 5. Don't pray too long in meetings. Long prayers are for the secret place. Pray in such a way that all can hear, understand, and be edified. 6. Don't read too much. Reading much in a meeting is often proof of little reading at home. To comment on a few verses that have spoken to your heart is best. 7. Don't preach too long. It is not the multitude of words that count with God or man. Short messages are more helpful. Say much in a few words. 8. Don't speak more than once in a meeting. If after you have sat down you remember things you left out, wait until another time to speak. 9. Don't be looking up your own little sermon while others are trying to apeak. Listen attentively. You can make it very hard for others or very easy. Be a sympathetic listener. 10. Don't permit long pauses between each testimony. Make up your mind that as far as you are concerned there will be no long pause. 11. Don't ask questions in meeting. 12. Don't have meetings in homes where children are unruly or not under control. 13. Don't have meetings where room is too hot or cold. 14. Don't allow phone to ring during meeting. 15. Don't keep a dog that will bark at everything and everybody. 16. Don't forget you are responsible for seeking to get others saved. 17. Don't freeze out strangers. Give them a warm welcome. 18. Don't preach or pray at strangers. Conduct your meeting as if no strangers were present. 19. Don't be afraid to love each other heartily. Read I Cor. 13 often. 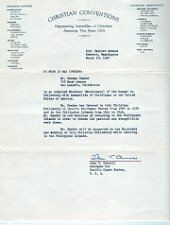 Defamation League, While members contribute to sectarian charities, and perhaps even to organizations such as the Salvation Army and the Quaker Relief Fund, which they feel are doing good "worldly" work, they do so quietly or even secretly, in conformity with the precepts, "Do not your alms before men," and "When you give alms let not thy left hand know what thy right hand doeth." In this chapter we will depart from mere description and start to make our material relevant to the sociology of religion. An important problem at this point is to attempt to establish The Church in a Christian historical tradition. Although it is impossible to reconstruct the past of The Church with certainty, we can make a number of educated guesses about the major trends within Christianity which have probably been most influential in shaping it. (2) It is one of the few Christian groups which practices weekly communion. One important denomination which does so is the Disciples of Christ, although it should be noted that the Catholics consecrate the elements at each mass. it should be noted that they hare a few important characteristics in common. The members have no voice in policy making, either in the assignment of workers or in general Church affairs—they take what they get, as it were. A celibate clergy, virtually unique among Protestant groups, is another common feature. Workers and members to whom I have pointed out these points of similarity readily agree. They see themselves as in some ways closer to the Roman Catholic Church than to the others, which were "founded by man," since they believe they share a common origin from which the Catholics have long since departed through a man-made proliferation of liturgy, dogma, and bureaucracy. necessity arising from the conditions of life specified for the apoatles in the New Testament. Moreover, the rule of celibacy has occasionally been relaxed, when marriage would not interfere with the proper apostolic life. It remains, then, to determine which of the many Protestant traditions has left the greatest imprint on The Church. The marked absence of an elaborate and traditional liturgy centering about the administration of the sacraments by an official priesthood is sufficient to rule out an Anglican or Lutheran background. Both these confessions place strong emphasis on the sacerdotal character of the ministry. traditional sacraments. These facts, together with the complete absence of liturgical pageantry, are sufficient to place It squarely within the ascetic Protestant tradition. But ascetic Protestantism contains a variety of specific traditions within itself, ranging through such diverse movements as Quakerism and German Pietism with their quiet and intense devotionalIsm, revivalism with its buoyant enthusiasm and emotionality, Puritanism with its stern intellectualism, and Calvinist sectarianism with its narrow legalism. To which of these movements does The Church bear closest resemblance? In the first place It clearly has little In common with the revivalist branch of ascetic Protestantism. It has none of the highly expressive hymns of revivalism, no tradition of compellingly emotional preaching, no "altar call," no expectation that listeners will give way to strong feelings in public. To the outsider its services are apt to appear dull and stylized. course, reflects the Anglican outlook of John Wesley. There is much in the belief and practice of The Church that suggests Baptist or Anabaptist origins. First, there is the suspiciousness of ecclesiastical machinery. Second, there is the rejection of infant baptism. Third, there is the insistence on baptism by total immersion. Finally, there is the view that baptism and the Lord's supper are "ordinances" rather than grace-conferring sacraments. The objection that Baptist influences could not possibly be involved because of the revivalistic nature of the Baptist tradition is not grounded, since the Baptist movement antedates the beginning of revivalism. number of specific traits that suggest an English Puritan background rather than a German Pietist or Anabaptist background. The lack of a strong tradition of pacifism is reminiscent of the Puritans and of the English Baptists. Its disapproval of the use of beverage alcohol suggests a close affinity with English-speaking ascetic Protestantism. During the 19th century, almost all ascetic Protestant bodies in the English-speaking world "went dry." It is perhaps noteworthy that The Church uses grape Juice in the Lord's supper. Finally, the absence of any tradition of German or continental connections other than of a missionary sort, and the presence of some positive evidence of ties to northern Ireland and to Scotland, both very important centers of British ascetic Protestantism to this day, further supports my opinion. but they did not object to organization at the parochial level. Alexander Campbell and Barton W. Stone, one a Presbyterian and the other a Baptist, however, very strongly denounced salaried and titled clergymen, benevolent societies, church edifices, and other worldly and visible appurtenances of organized religion. Although the movement they brought into being, viz., the Disciples of Christ, has grown into a formally organized denomination itself, it is entirely possible that the thinking represented by its founders has played a part in the origins of The Church. Secondly, it may also be significant that Campbell instituted the practice of weekly celebration of the Lord's supper. This represented a sharp break with the main tradition within ascetic Protestantism, which had been to celebrate this ordinance rather infrequently. The third feature which The Church shares with a prominent 19th century American trend is the doctrine that its position represents the true Christian tradition carried down since apostolic times in secret, persecuted bands of believers. This is precisely what is claimed among many Baptists, particularly in the South. The so-called Landmark movement began shortly before the Civil War among Southern Baptists and has had an enormous impact on that denomination ever since. rough and speculative historical reconstructions. I believe, however, that for our present purposes it can be said with reasonable certainty that The Church is in the ascetic Protestant tradition, that its background is probably in the Baptist wing of the Puritan tradition, and that it reflects certain influences known to have arisen in Baptist and Presbyterian circles during the first half of the 19th century. The notion that the group has been in existence since the first century is an idea that occurs now and again within Protestantism, It is an idea which cannot be entirely ruled out of consideration. There is much historical evidence that primitive Christian sects of one kind or another survived under the Roman Empire and later. Because this belief is of fundamental importance to the group as a "legitimating myth," a paper which has had some local circulation among members is worthy of attention. It is unsigned, and I can only surmise that it was written by some student of religion, perhaps a Baptist seminarian. who later became a member or worker in The Church. This is in no sense an officially approved Church document, and the extent of its circulation is unknown. Because of its length, the passage below represents only scattered excerpts from the original. In the period between A. D. 130 and 180 the varied groups of so-called Christians in the Roman Empire crystallized into close and mutually exclusive societies — most important of these were the Catholic Church and the Marcionite Church. The Marcionites tried to keep alive "primitive Christianity," whereas the Catholics represented the liberal wing. Marcion preached a return to the gospel of Christ and Paul, nothing beyond that being acceptable. People called Marcionites are referred to down to the 7th century. There is no doubt that some men and women held to the exclusively "apostolic" doctrines, forms and practices. Such Christians were first called Ebionites ("poor men" in Hebrew)1, or in Syria, Nazarenes2. The Nazarenes were widely.dispersed in the Eastern world and were well-known by name, if not by their doctrines, as late as the 4th century. They refused to countenance any accretions to their apostolic doctrine and worship. because their ministers renounced individual property they were sometimes called Apotactites or Renunciatores. People of this name existed well into the Middle Ages in several regions of Europe. At the end of the 12th century Stephen Nemanya, King of Servia, persecuted them and expelled them from his country. Large numbers took refuge in Bosnia, where they were known commonly as Patarenes. From Bosnia their influence extended into Italy (Piedmont) and Hungary. The Popes in Rome, while leading crusades against the Albigenses, did not forget the heretics in the Balkan countries and recommended their annihilation, too. In the second half of the 12th century the protest of many private individuals against the prevailing corruption In the Catholic Church was organized by Peter Waldo of Lynns ( France). Having heard poor itinerant preachers speaking in the town about a doctrine of primitive, unchanging Christianity, he decided to give all his wealth to the poor and preach reform in the Catholic Church. The Waldenses (his followers) became a powerful denomination in France and Italy and were only subdued by wars. The councils of Wurzburg (1287) and Chichester (1289) took measures against the "Apostolic brethren" in Germany and England, respectively. But in 1291 the group reappeared in the public interest, sensibly increased now, and Pope Nicholas IV published anew the bull of Honorius IV. From that day forward, they were persecuted pitilessly—four were burned In 1294, for example, for preaching this doctrine. The "Apostolic brethren" continued their propaganda in Italy, Languedoc, Spain and Germany, nevertheless. In turn, they were condemned by Councils of Cologne (1306), Treves (1310) and Spoleto (1311). The Inquisition's hated leader in Languedoc, Bernard Gui3, persecuted them unremittingly. to the British Isles in the 14th century. In 1387 the bishop of Worchester issued a mandate against five such "poor preachers." Wycliffe, a professor at Oxford University, was so impressed by these "poor preachers" that he sent forth his Oxford Disciples two and two in imitation of the itinerants. For this reason it is often incorrectly stated that Wycliffe founded the Lollard movement. When King Richard II issued an ordinance in July, 1382, ordering every bishop to arrest all Lollards, the House of Commons compelled him to withdraw it. Thus protected, the "poor preachers" won many of the common people to their fellowship. Leicester, London, and the West of England became the chief centers of their activity. These poor itinerant preachers were simply clad; they preached in the mother tongue from the Bible (which they translated) to the people in churches, graveyards, streets, squares, houses and pleasure grounds; they privately visited with those who were impressed by their message and founded small groups which met privately for worship. From England, Lollardly passed into Scotland. Persecution in England continued until the reign of Henry VIII, when the appearance of Luther's writings diverted attention from the "poor preachers." There is reason to believe that their doctrines gained a favorable hearing in Ireland, where there had been pockets of resistance to Catholic doctrine ever since the first Roman missionaries arrived to bring the Celtic Christians into line with the papal church. In Germany, two ministers, "apostles" as they were called, were burned at Lubeck in 1402 or 1403 by the Inquisitor Eylard. Several writers, including Gotti, Krohn and Stockmann, have mentioned among the innumerable sects that have sprung from the Anabaptist movement a group of individuals whose open-air preachings and rigorous practice of poverty linked them with earlier "Apostolic brethren." And so the story might be continued to the present day. Only glimpses are afforded of these people—today they are found in almost every land and still official records today (in an age when census are otherwise remarkably accurate) give very few accounts of them to the researcher. This paper has traced some of the glimpses afforded between the first and fifteenth centuries— generally thereafter, with the advent of the Protestant reformation, it is commonly believed that such people existed. But it has not been commonly known that prior to the Reformation the "Apostolic brethren" or "Nazarenes" or whatever name they were assigned, flourished much more than after the religious upheavals started by Luther, Calvin, Zwingli, Henry VIII, Menno, etc. Whatever weight may be given to the above, the firm conviction that their Church began with Christ is important to the members, and contributes strongly to the intense doctrinal conservatism which it displays. Whether or not The Church was founded in Ireland circa 1897, as suggested by Irvine and indignantly denied by the members, it apparently did not reach the Western United States until some time after 1910. The author has talked with several older members and workers who encountered it in 1912, 1913, and 1914, but none who had belonged to it before that time. Neither was the author able to find any member who claimed that any of his family belonged to The Church prior to about 1900. Mann1 says that it was started in Alberta in 1910 to 1914. If it was indeed founded in 1897, its growth and diffusion in its first two decades was striking, aided perhaps by high emigration from Ireland to the United States, Canada, Australia and New Zealand. 1Mann, op. cit., pp. 15. While The Church has occasionally been referred to as a "sect" in the preceding description, we will now take a closer look at its place on the church-sect typological continuum, The starting point for most current typologies was established by Ernst Troeltsch1, who saw a number of differences between sects and churches in matters of organization, community relations, and social doctrine. The "ideal type" of sect is small, its membership joins voluntarily, there is tension between it and the community, there are few distinctions between clergy and laity, it is confined to the lower class, and it teaches indifference or opposition to worldly things. The church is large, official, integrated with the society, has a trained professional clergy, has a large middle and upper class membership, and upholds the status quo. 1Troeltsch, Ernst, The Social Teaching of the Christian Churches . vol. I, Harper Torchbooks, New York, I960. 2Becker, Howard S., Systematic Sociology. 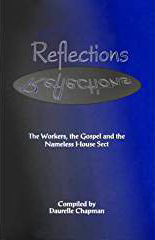 John Wiley and Sons Inc., New York, 1932.
four major religious group types, the ecclesia, or official church, the denomination, or well-established socially integrated group, the sect, or small separatist group at odds with society, and the cult, characterized by religion of a private and personal sort to which group membership is secondary. That The Church belongs on the sect end of the continuum is obvious. On most of the important criteria they conform to the sect type very closely, although on three points they differ. They have a full-time "professional," though unsalaried, clergy; they leave the management of overall problems in the hands of the clergy, with the members expecting no voice in these affairs; and their membership is not confined to the lower class. None of the classifications of sects which have been attempted seem to handle this group adequately. Perhaps the best known is the schema, presumably Intended to be exhaustive, developed by S. D. Clark1. 1. The pessimistic or adventist sects. Stress millenarianlsm and the imminent end of the world by cosmic catastrophe. 2. The perfectionist subjectivist sects. Stress strong emotional experiences. 1Clark, op. cit., pp. 22-23.
gifts of prophecy, speaking in tongues, trances and visions. 4. The communistic sects. Feature physical withdrawal into colonies. 5. The legalistic or objectivist sects. Stress rules, forms, observances in such things as dress and forms of address. 6. The egocentric or New Thought sects. Stress the achievement of comfort, health and personal well-being in this life as a goal. 7. The esoteric or mystic sects. Mostly offshoots of Hinduism, they deal with the occult. The Cooneyltes certainly cannot be fitted to any of these categories, or even described by any combination of two or three. It might be noted that in The Small Sects in America Clark treats The Church only very briefly, and his information seems to have been drawn entirely from Irvine's Heresies Exposed. 1Niebuhr, H. Richard, The Social Sources of Denominationalism. Henry Holt and Co., New York, 1929.
gave rise to the official church of the Holy Roman Empire. Lutheranism and Calvinism, which started as alien and heretical creeds, became great socially approved churches. The Wesleyans, who began with great fervor, appealed to the lower class and were publicly anathematized, then became the secure and traditionalistic Methodist church of the present century. Instances of this kind of development can be multiplied almost endlessly, and it has been confirmed by a number of empirical studies. Liston Pope1 says that of the 31+ sects he studied in Gaston County, North Carolina, 21 of which were less than ten years old, the churchward trend could actually be observed in every case. One of the important points about the Cooneyites is their extreme conservatism. Persons who have been associated with the group for the past fifty years maintain that there have been no changes whatever in doctrine or practices. The way the members and workers live, dress and travel have certainly changed, but these changes are provided for within the beliefs of the sect. 1Pope, Liston, "Patterns of Denominational Development: Churches and Sects," Millhands and Preachers. Yale University Press, 1942.
from sect type to church type religion takes place. These are listed below, with a parenthetical comment for each concerning the Cooneyite tendency in the past fifty years. two or three on which we cannot be reasonably certain that no change has occurred. This stability over a period of at least fifty years certainly represents an extreme of sect conservatism, especially in a group that does not practice physical withdrawal into circumscribed communities. 1. The upward mobility of members. Thus a sect which starts among the economically and socially deprived lower class will, if it stays with its original families, move along with them into the middle class. This has been found to be especially true in the United States, with its successive waves of immigration and its pattern of upward mobility. The tendency was, however, commented upon by John Wesley, who observed that the Protestant virtues of abstinence, thrift and industry would lead to worldly prosperity and hence to a change in the very church that had promulgated these virtues among the poor. 2. Competition between sects. This competition is chiefly for new members, and leads to such things as publications, radio broadcasts, and the tailoring of doctrinal emphasis in the direction of popular appeal and acceptance. Also (a Veblenesque point), competition may take the form of conspicuous consumption, as in church buildings and the general social upgrading of church practices. 3. Religious education of the children of members. Niebuhr went so far as to say that no primitive sect could survive in the second generation except through isolation into physically separated colonies. Sect members are, in his theory, recruited on the basis of their intense psychological need and their isolation from the larger society. Since most of their children will not have this need or this isolation, education is necessary if they are to stay in the sect, and the very fact that they are "brought up" in the religious group rather than converted to it by a profound religious experience will change the nature of the sect. 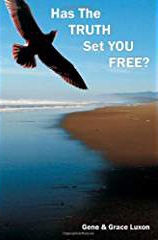 The Conversionist sects seek to alter man, and thereby to alter the world; the response is free-will optimism. The Adventist sects predict drastic alteration of the world, and seek to prepare for the new dispensation—a pessimistic determinism. The Introversionlsts reject the world's value and replace them with higher inner values, for the realization of which inner resources are cultivated. The Gnostic sects accept in large measure the world's goals but seek a new and esoteric means to achieve these ends--a wishful mysticism. 1Wilson, Bryan, "An Analysis of Sect Development," American Sociological Review, vol. 24, February, 1959. These same tendencies are likely to be intensified if the sect is unclear concerning the boundaries of the saved community and extends its rules of endogamy to include any saved person as an eligible spouse; if its moral injunctions are unclearly distinguished from conventional or traditional morality; and if it accepts simple assertion of remorse for sin as sufficient to readmit or to retain a backslidden member. Denominationalization is all the more likely when such a sect inherits, or evolves, any type of preaching order, lay pastors, or itinerant ministers; when revivalism leads to special training for the revivalists themselves (and so leads to a class of professionals who cease to rely on "love-offerings" but are granted a fixed stipend); and when the members are ineffectively separated from the world, a condition enhanced by proselytizing activities. The Conversionist sect is one whose teaching and activity centers on evangelism; in contemporary Christianity it is typically the orthodox fundamentalist or Pentecostal sect. It is typified by extreme bibliolatry: the Bible is taken as the only guide to salvation, and is accepted as literally true. Conversion experience and the acceptance of Jesus as a personal saviour is the test of admission to the fellowship; extreme emphasis is given to individual guilt for sin and the need to obtain redemption through Christ. Despite the theoretical limit on the number who can gain salvation, the sect precludes no one and revivalist techniques are employed in evangelism. It is distrustful of, or indifferent towards, the denominations and churches which at best have diluted, and at worst betrayed, Christianity; it is hostile to clerical learning and especially to modernism; it is opposed to modern science, particularly to geology and to evolutionary theories; it disdains culture and the artistic values accepted in the wider society. Examples are to be found in the Salvation Army and the Pentecostal sects. regarded as incommunicable and eschatological ideas are unarticulated or of little significance. No evangelism is undertaken and a strong ingroup morality is developed; the sect withdraws from the world, or allows its members to be active in the world only for human betterment at the behest of conscience and at the periphery of social concern. It is indifferent to other religious movements. It admits of no spiritual directors or ministers. Examples include some Holiness movements, Quakers, and the Society of the Truly Inspired (Amana Community). If The Church is placed in Wilson's typology it would have to be classified as Conversionist. Why, then, has it been so resistant to the denominalizational tendency? One reason appears to be that its proselytizing differs in kind from that of the evangelistic Protestant sects. One might say that it seeks quality rather than quantity. The workers eschew powerful, dramatic appeals which may effect many shallow and temporary conversions, and instead devote much time to each individual convert. Another vital contribution to conservatism is the strong feeling of historical continuity with Christ. Since the sect continues the way of Christ and not of man, who is to suggest or accept any change? First, The Church, by its "invisibility" is neutral as a symbol of status. It carries no prestige whatsoever, but in towns where the Jehovah's Witnesses, Seventh Day Adventists, Mennonites and "Holy Rollers" are ridiculed or despised, it avoids any stigma. It is not a lower class group, nor does it especially seek for converts in the lower class. In the community, its members may be known to belong to a "different" faith, but one whose practices are quite respectable. Persons who join the group are fully aware that it confers no social cachet. If they attain prosperity and want a more prestigeful denomination, they do not attempt to take the Cooneyite sect upward with them. The lack of congregational determinism of sect policies may safeguard against this kind of development. in a sect, seems to carry it inevitably toward denominationalism. Second, in competing for converts, it seems that the sect makes a virtue out of its unwillingness to employ the usual evangelical techniques. It can point to its differences from the others, and relate these differences to the "way of Christ." While it would reach far more people by the use of publications, advertising, broadcasts and publicity, it would reach them less effectively. It does indeed compete quite strongly, but on its own terms. who grew up in contact with The Church, not one became a member. Of course, the children of members do frequently join, but more often they do not. Some of the sociological work on sect-church development is certainly of considerable theoretical value. In this case, however, we see that even a conversionist primitive sect can remain basically unchanged for at least fifty years. If any conclusion is to be drawn, it is that we must not confuse what generally happens with what must happen. There are indeed strong forces working toward the denominationalization of Christian sects, but it is not impossible that a sect can develop in such a way as to be largely free from their influences. 1. Howard S. Becker, Systematic Sociology. John Wiley and Sons Inc., New York, 1932. 2. Elmer T. Clark, The Small Sects in America. Abingdon-Cokesbury Press, New York, 1949. 3. Emile Durkheim, Elementary Forms of the Religious Life. Collier Books, New York, 1961. 4. 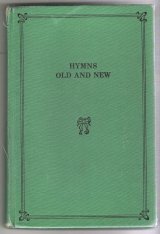 Hymns New and Old, R. L. Allan and Son, Publishers, Glasgow, Scotland. 5. W. C. Irvine, Ed. Heresies Exposed. 3rd edition, Loiseaux Bros. Inc., Bible Truth Depot, New York, 1935. 6. William E. Mann, Sect, Cult and Church in Alberta. University of Toronto Press, 1955. 7. Frank S. Mead, Handbook of Denominations in the United States. Pierce and Smith, New York, 1951. 8. H. Richard Niebuhr, The Social Sources of Denominationalism. Henry Holt and Co., New York, 1929. 9. Liston Pope, Millhands and Preachers. Yale University Press, 1942. 10. Ernst Troeltsch, The Social Teaching of the Christian Churches. Vol. I, Harper Torchbooks, New York, 1950. 11. Bryan Wilson, "An Analysis of Sect Development," Amer. Soc. Review, vol. 24, February, 1959.